In 2004 Bev Reed joined the Aurora Northwest Rotary Club in Spokane, Washington. Shortly after joining she was selected as the chair of the club’s key fundraiser, the Lilac Century Bike Ride. Bev has been very active in her club as President in 2011-12 as well as chairing the Foundation and Membership Committees. She was named Rotarian of the year at her club in 2005 and in 2015. Bev has been a facilitator for the Rotary Leadership Institute since 2009. She believes this is one of the foundational ways for members to not only learn about Rotary but to become more engaged on a club level as well as a District level. In 2011-2014 she served as Assistant Governor and has been a President Elect Training Seminar Instructor for four years. Bev was recently selected to be the PETS OPCOM Chair in 2021. Believing in the work of Rotary, Bev is a Major Donor and belongs to the Paul Harris Society. Bev recently retired from a 38 year career with the YMCA. Whether a Program Director or a CEO of an Association she has embraced the need to serve all in her community. One key accomplishment was being part of an Executive Team in a $40 Million fundraising and construction project of two new YMCA facilities in Spokane, Washington. In addition to her local responsibilities Bev was also a National YMCA Faculty trainer in the areas of Volunteerism, Fundraising, and Leading & Coaching Others. When not working or volunteering, Bev and her husband Bill enjoy spending time with their adult sons Chance and Chase. Also, time always needs to be found for their love of golf, gardening and biking. 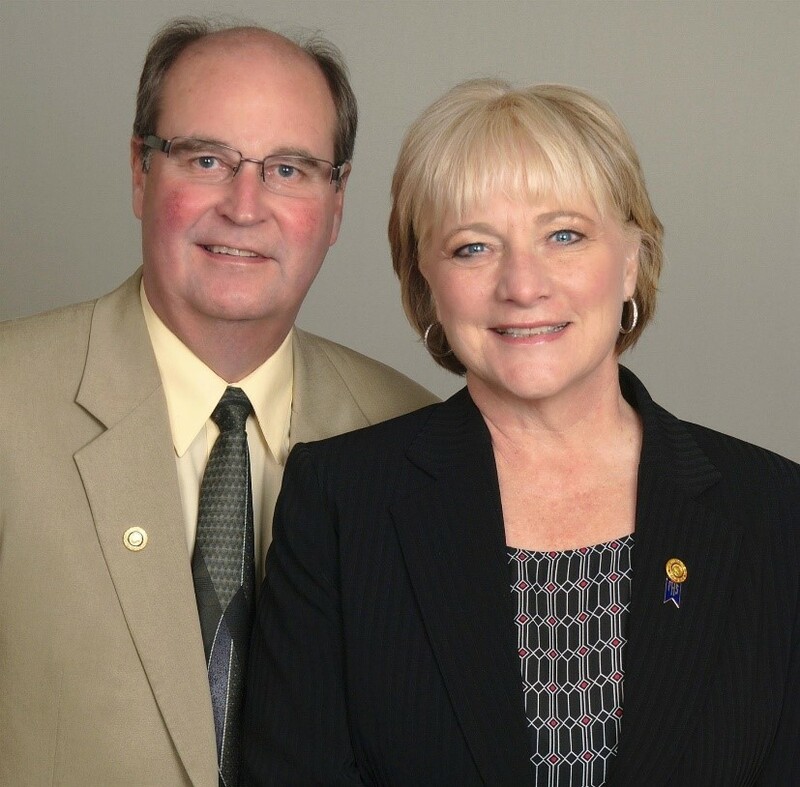 Bev and Bill look forward to their wonderful journey serving District 5080.